Every year in America over 100 billion aluminum beverage cans are manufactured. The modern process is so efficient a single production line can turn out 2,500 cans per minute. Though all-aluminum cans were in production since 1963, it took four more years to revolutionize the industry using a new alloy and draw process introduced at a plant in White Bear Lake, Minnesota. In 1935, steel, 3-piece cans were on the market comprising of a top, bottom, and cylindrical side. According to Doug Hoverson in his book Land of Amber Waters the benefits of cans were they were not breakable, they shielded the contents from harmful light, they were lighter and easier to handle, and they didn’t need to be returned by the consumer. Some cans had cone-tops with bottle caps which made it easy for breweries to adapt the can to already existing bottling lines. Flat-tops were introduced by the American Can Company at the same time as well. Flat-tops were easier to stack but required breweries to modify their bottling lines to accommodate the cans, which could be expensive. It also required consumers to use a special opening device, sometimes referred to as a “church key,” to “pop the top.” Still, however, Theodore Hamm’s Brewery in Saint Paul immediately took on the expense of re-fitting its bottling line and adopted the flat-top becoming the only brewer in Minnesota never to use the cone-top. Eventually aluminum replaced the tops of the cans, but the bodies continued to be made of steel. Since the aluminum tops were lighter and thinner, pull-tabs could be built right onto the can eliminating the need for a special opening device. Aluminum tops also extended the shelf-life of the beverage. According to an article in the September 1994 issue of Scientific American, the first all-aluminum, 2-piece can was created by Adolph Coors Company in 1958. Coors used the impact-extrusion process in which the bottom and sides were punched as one piece and the top was put on after filling. However, these cans proved inadequate for mass production since they could only contain 7 ounces and were 0.03 of an inch thick. In 1963 Reynolds was the first to make the commercial 12 oz. can which Theodore Hamm Brewing Company began using in 1964. However, the process was not perfect and defects were common. On the far left: Schell’s Deer Brand Beer cone-top can circa. 1950s (Rick A. collection). Right two images show four flat-top cans from the top and bottom. Budweiser 16 oz steel bottom and side, aluminum top w/ pull-tab. Budweiser 12 oz all metal with church key punched top. Hamm’s aluminum pull-tab top, steel side and bottom. Hamm’s all aluminum pull-tab (author’s collection). Beverage cans need to withstand internal pressures of 90 psi. It took a lot of work and effort to make aluminum can bodies able to withstand that pressure. This work was often done using a technique referred to as “annealing” where metal is heated and allowed to slowly cool. This heating and slow cooling process toughens the metal, but it drastically slows down the manufacturing process. Many breweries and metal companies were working on ways to increase production speeds to turn out large quantities of cans. Working for Reynolds, Linton D. Bylund was himself researching a more efficient process. In 1967 Bylund successfully petitioned the Can Division of Reynolds to do a commercial production evaluation run at the White Bear Lake plant. His new process still formed the can using a punch, but did not require softening, anneals, or stress reliefs. It would punch and form the can in 4 quick steps called Draw and Iron. It would also use a specific aluminum alloy not yet in use in beverage can manufacturing. The first 130,000 can bodies were produced at the White Bear Lake plant in February of 1967. These cans were later filled with Hamm’s beer, performed well, and proved it was commercially viable to run on existing equipment at commercial speeds. His tests continued through 1967 and by 1968 Reynolds settled on the process. The draw and iron process removed all other production methods from the can industry, improved the life of machinery, and created lighter cans. While other industries had used similar techniques, this was the first time such a process was used for beverage cans. The plant was located on 9th Street in White Bear Lake across from Podvin Park. The building still exists relatively unchanged but now houses a paper company. 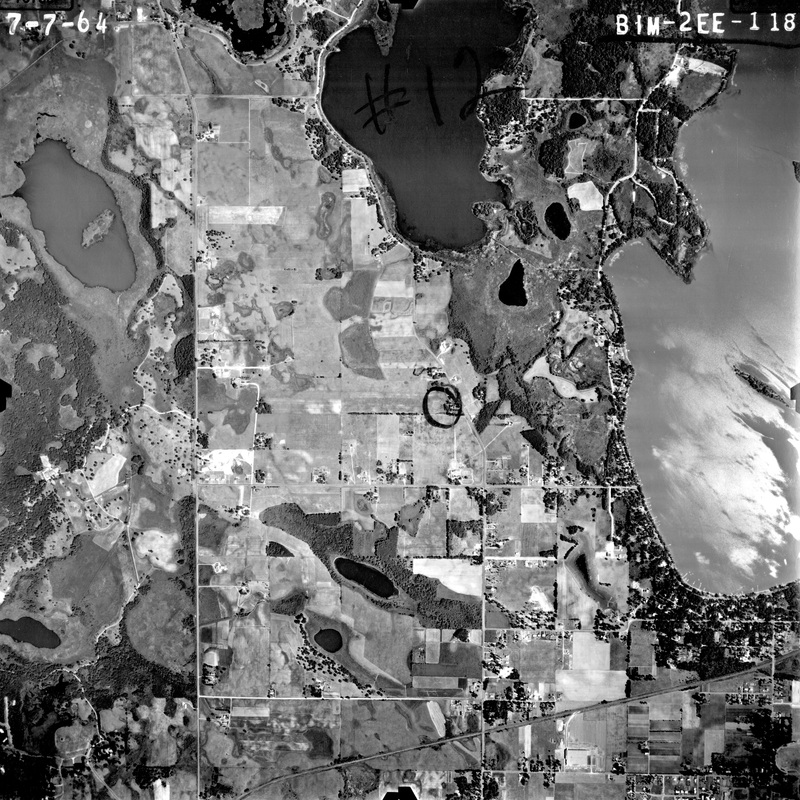 Studying aerial photos from Minnesota Historical Aerial Photographs Online (MHAPO) from the John R. Borchert Map Library at the University of Minnesota, I was able to determine that the Reynolds plant was built around 1963. 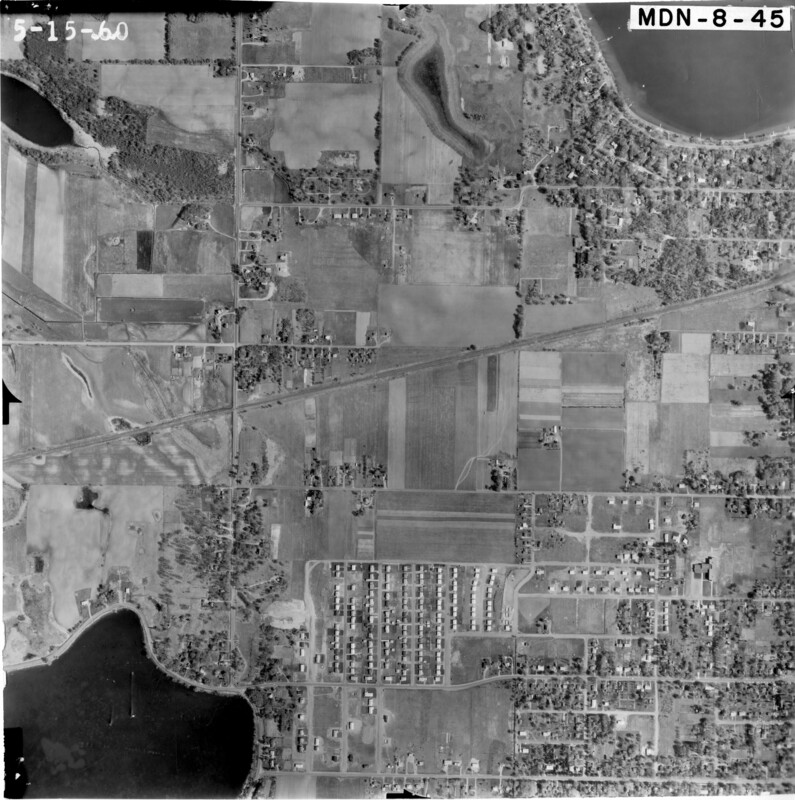 The center of the 1960 aerial photo shows nothing but the Soo Line track, open fields, and a few houses. The June 4, 1963 photo shows the Reynold’s building in the lower left corner with what looks to be new grading around it, possibly open doors on the east side, a freshly laid track spur, and what looks like an empty parking lot in the front. June 4, 1963 occurred on a Thursday and the shadows show a mid-morning sun. If the parking lot is indeed empty it would appear to not yet be in production. It is somewhat difficult to tell because the cars may not be distinguishable due to the brightness of the exposure. Also, the detail on the west end of the roof over the enclosed spur is either too bright or has not yet been installed. The July 7, 1963 photo, however, shows in the lower right corner a full parking lot and a little cleaner area surrounding the building, perhaps a month’s worth of vegetation growth covering what appeared to be exposed dirt in the earlier photograph. So the building had rail service from the beginning most likely receiving raw materials and/or shipping finished product out via rail. Today the Soo Line is operated by Canadian Pacific and still sees frequent traffic. The building is now used by International Paper and the surrounding area has changed drastically as shown on current day aerial views from Bing. A complete list of references, resources, and additional information, may be found on my Reynolds Aluminum Plant wiki notes page. There are also links to the patent cases (ruling and reversal) which I actually found to be interesting reads as they detail dates and processes, and two articles about can manufacturing (Made How and Chymist). The New York Times obituary for David P. Reynolds is also a good read especially when it mentions he was so enthused about aluminum he would give his wife aluminum jewelry. Thanks to my Nebraska Correspondent, Grant, who asked me to locate and research the plant. I had some fun doing it and remind others that I am open to any White Bear Lake/Saint Paul, Minnesota, or Eastern Nebraska Platte River Valley research topic even if it only has a minor connection to railroads. Special thanks to the White Bear Lake Area Historical Society for use of the 1970 building photo from their collection. 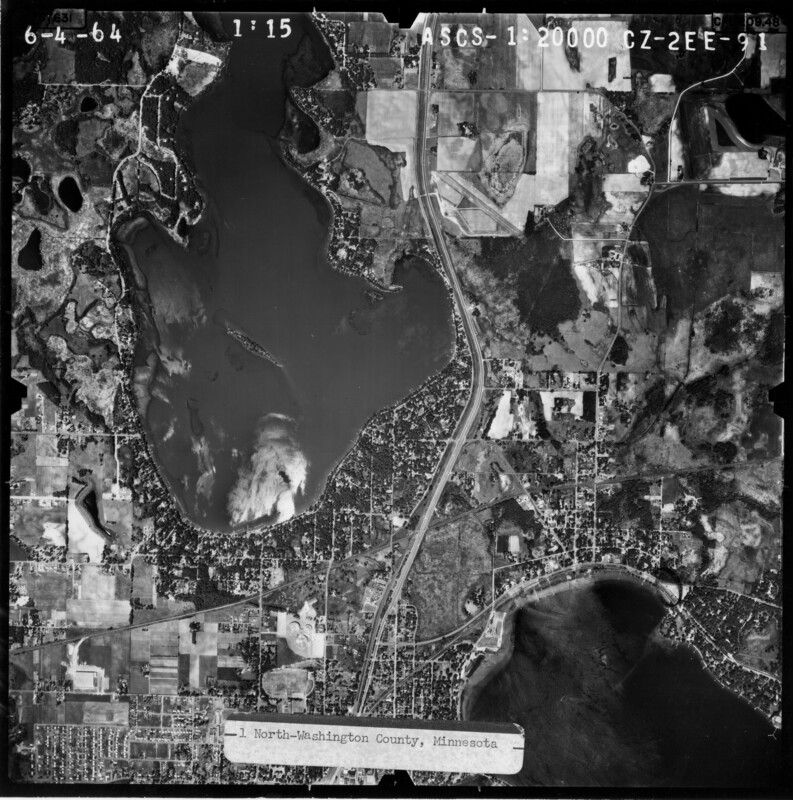 Also, don’t forget to check out the MHAPO collection, I have found it very useful through the years as they have aerial photos of Minnesota dating back to 1920. Bill Hammack, Engineer Guy on YouTube, just posted a video detailing the process of aluminum can creation with excellent detail as always. He also gives links to additional videos which, if you are like me, great for visual learners.